In a small Italian town north of Venice, a young boy spent hours in his grandparent’s restaurant learning to love fresh ingredients and perfect the art of cooking. That young boy grew up to become Chef Marco De Cecco, who has travelled the world spreading his love of classic Italian dishes. Prego, The Westin Kuala Lumpur’s renowned Italian restaurant, has given Chef Marco a new home where he can share his passion. Taking inspiration from the traditional English afternoon tea, Chef Marco has created a unique experience that allows you to taste the sweet and savoury delights of Italy in one afternoon. The Italian Afternoon Tea is served in Prego restaurant with a live pianist filling the room with music to create a cosy ambience. Serving time is Mondays to Saturdays (2 pm to 6 pm) at a price of RM98 for two people. This includes a three-tiered set which is complemented with freshly brewed tea or coffee. Prego also offers an extensive selection of beer, wine and prosecco which could be a nice addition to your afternoon tea. 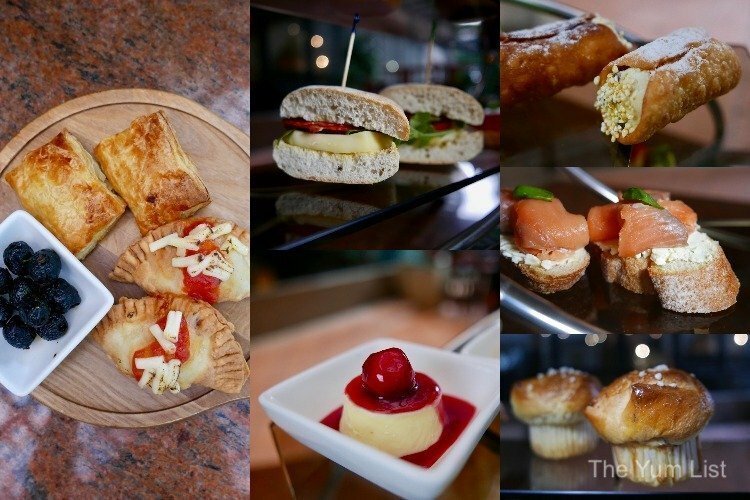 The Italian Afternoon has been created to showcase 12 dishes from Northern and Southern Italy. However, the wood-fired pizza oven is fired up and ready to serve guests a pizza inspired by the traditional Naples recipe, as well as home-made pasta. These items can be ordered a la carte. When the set is placed on our table, I am in awe- three tiers of delicious delights just waiting to be tasted! 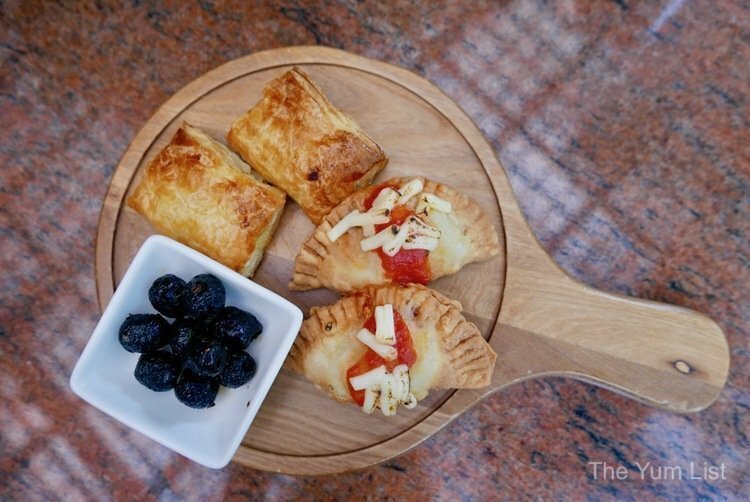 Next to the set is placed a wooden plate with a selection of items including the Calzone Farcito, the Rustico Spinaci e Ricotta and the Olive Cotte al Forno a Legna. Chef Marco has joined us for the tasting and begins by telling us about the Rustico Spinaci e Ricotta, a pastry with ricotta cheese and sautéed spinach, which was traditionally only for the wealthy due to the use of the puff pastry. When I bite into this, the crisp flakey puff pastry melts in my mouth, and it becomes clear why this dish was so exclusive. Next, I try the Calzone Farcito, which Chef Marco has fried instead of the traditional oven baking, to give a crispy texture to encase the tomato sauce, mozzarella cheese, turkey ham and artichokes. The last item on the wooden plate is the Olive Cotte al Forno a Legna. If I am honest, I am not a huge fan of olives, but under the encouragement of Chef Marco, I gave them a go, and WOW! Marinated in oregano, garlic and chilli oil, these oven-baked black olives are so moreish that I could easily eat a whole bowl! But I must stop myself as I still have three tiers to sample. Starting at the first tier are two different types of bruschetta and rosemary focaccia. Before I begin tasting, Chef Marco tells me the story of how bruschetta was originally created by the poor who didn’t want to waste stale bread, so served it with juicy tomatoes. A far cry from its origins, the Bruschetta Fantasia is served on fresh crunchy bread – one topped with the traditional cherry tomatoes and fresh basil, the other with smoked salmon, capers and a lemon and herb cream cheese. Sitting between these is the Focaccia Rosmarino, Pomodoro, Rucola, Taleggio e Salame – rosemary focaccia filled with tomato, rocket, Taleggio cheese and turkey salami. Moving to the middle tier, I start with the Crostata Di Frutta, a bite-sized custard cream tart topped with fresh fruits, that fills my taste buds with the natural sweetness of the seasonal fruits. This is followed by the Panettone Della Feste, a classic Italian sponge with candied fruit and chocolate drops. I then turn my attention to the Crostoli Veneziani which is a thin strip of deep-fried dough sprinkled with cinnamon sugar. I thought this would taste like a cinnamon doughnut but instead, I am surprised by the lightness of this sweet treat. Finally, I reach the top tier, the one I have been looking forward to most, as my sweet tooth is ready to be satisfied. My eyes are drawn to a bright green sponge cake. Chef Marco explains that many people confuse the striking colour with that of matcha, but in fact, this cake draws its colour from the naturally green Italian pistachio. Layers of moist sponge, pistachio cream and topped with gold flakes, the Ciambella al Pistachio is delectable. The Pannacotta Vaniglia e Coulis di Fragole is a perfectly rich and silky vanilla pannacotta topped with a strawberry coulis, that you could imagine would be the culmination of a typical meal in Italy. I am excited to try the Cannoli Siciliani. This Sicilian treat has been stuffed with ricotta and candied fruits, and does not disappoint! I am about to declare this as my favourite when Chef Marco urges me to try his most cherished. The Tiramisu has been created with traditional Italian mascarpone mousse, lady finger biscuit and espresso coffee. Ensuring that my spoon scoops a bit of every layer, I am delighted to find the rich, creamy, chocolatey coffee taste that you would expect of an outstanding Tiramisu. And while I do agree this Tiramisu is amazing, I am not prepared to let the Cannoli go, so I declare a tie between the Cannoli and Tiramisu for my favourites! 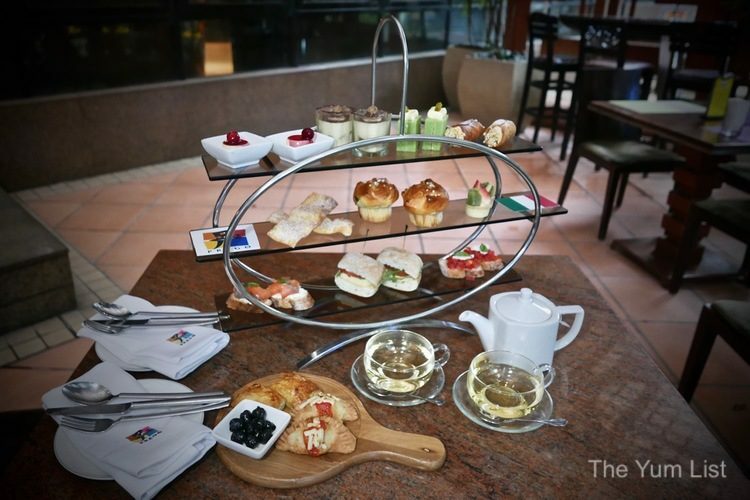 Reasons to visit Prego for the Italian Afternoon Tea: a unique twist on the afternoon options in Kuala Lumpur; a chance to meet Chef Marco De Cecco and listen to him share his passion for good food and stories. More afternoon teas in Kuala Lumpur here. 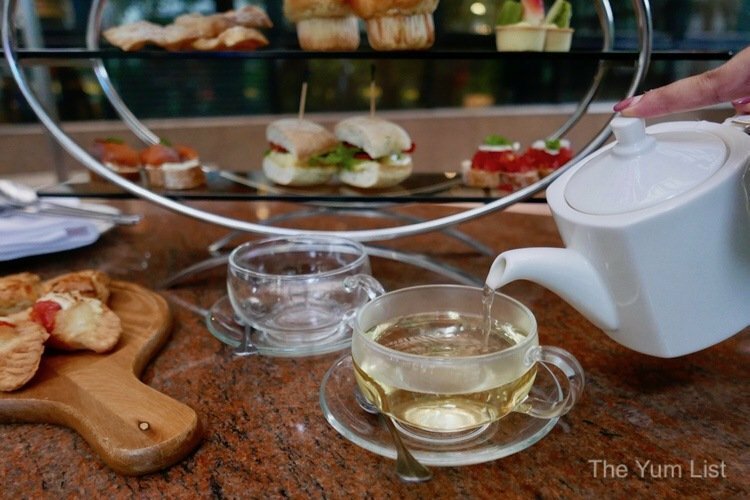 It’s quite delightful to enjoy dainty pastries, sandwiches and cakes accompanied by good cup of tea! Afternoon tea is something I have not yet had the pleasure to experience. No good ol’ English scones with clotted cream and fruit jam? I’d love that!